PLYMOUTH ARGYLE SUPPORTERS ASSOCIATION LONDON BRANCH | Winners at Wembley! 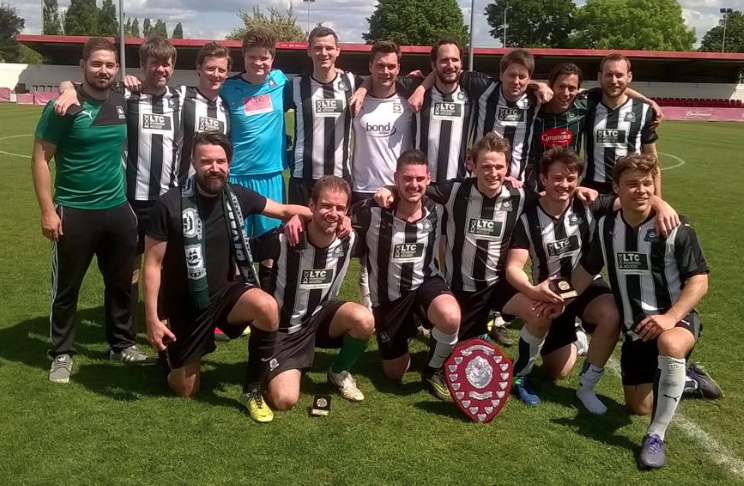 Congratulations to PASALB FC, who won the APFSCIL Plate with a thrilling victory against Bristol City supporters in the final on Sunday. Our football team drew 1-1 with City and went on to win 4-3 on penalties to prove they were Best in the West. Fittingly, the final was played at Wembley FC.